Marquette, MI – TRP Transport specializes in hauling cars, trucks, side by sides, medium sized tractors and even skid steers in enclosed trailers from the Marquette area. Got a Yamaha pick to haul? They can do that too. Complete specs on Yamaha hauls from TRP coming soon. If you would like to find out more information, fill out the contact form on the sidebar or call Mike at TRP Transport. 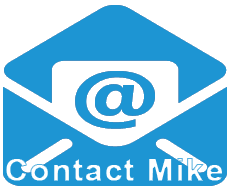 You can reach Mike at (906) 361-4803.